If procurement technology is stuck in the stone age, what do we need to do to modernise? We take a look at some B2C examples for inspiration. 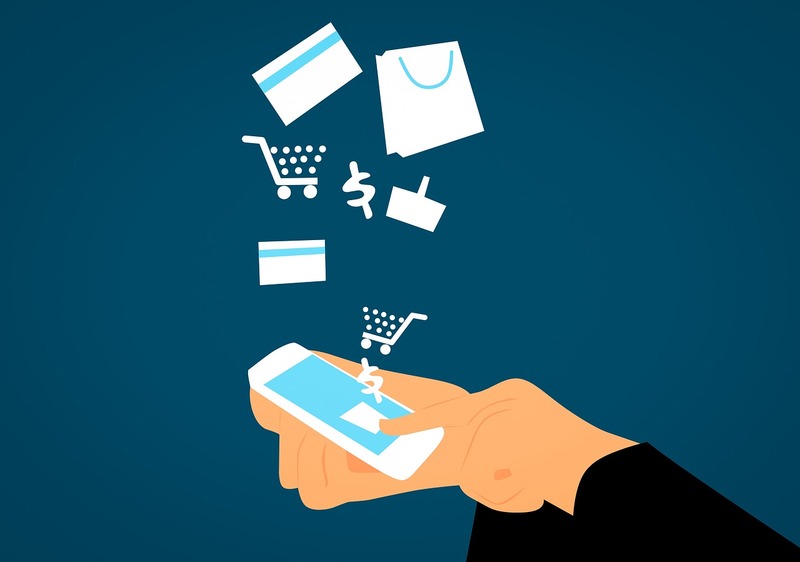 So far in this series, Market Dojo and Odesma have discussed whether procurement technology is stuck in the stone age, and why B2B software isn’t keeping up with its B2C counterparts. This article examines some B2C companies getting it right. This article was originally published on Market Dojo. Slowly but surely, not only do we see B2B companies adopting B2C ideologies, but some B2C companies are jumping in and filling the gap left by B2B providers. Granted, the complexity of B2B companies isn’t completely covered by the consumer oriented companies, so they are aiming more at the smaller companies. But all the same it still highlights a shift in the market. 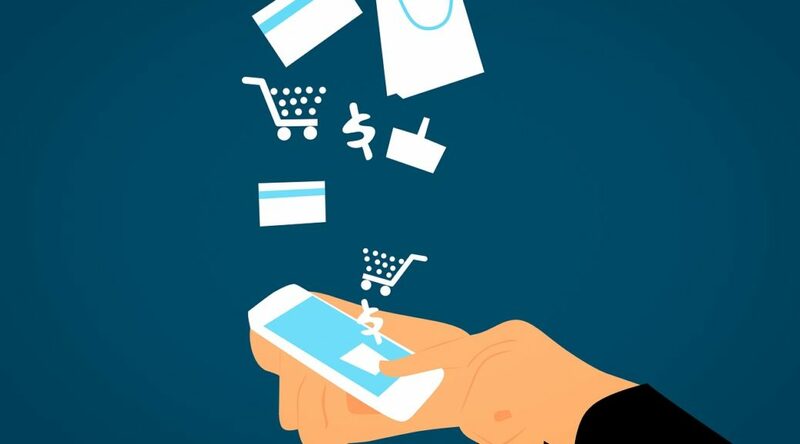 By taking a couple of examples, we can see where these changes are happening and examples of B2C solutions doing it right. 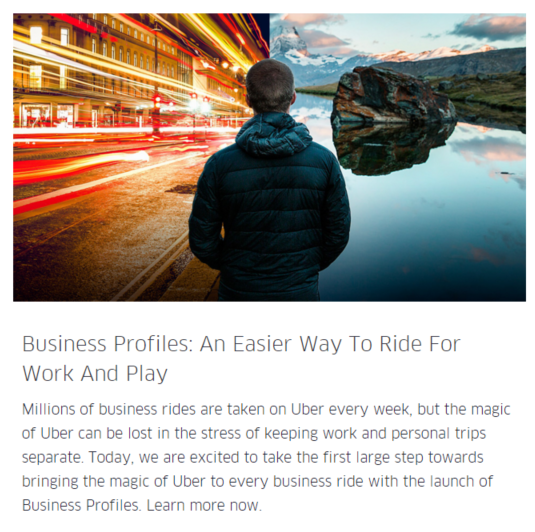 The transportation networking company Uber originally focussed on the B2C space by bringing together people looking to travel in the same direction, aggregating the demand and sharing out the cost of the journey to charge a lower price. Targeting those traveling for personal reasons and commuters, they are paying special attention to the business sector with their latest development of business profiles. More recently, focus has shifted to the freight industry where they hope to achieve similar by introducing mobile-based freight brokering technology. Not only will there be a reduction in number of ‘empty miles’ travelled, mobile-based freight brokering technology can help lower operating costs, improve fuel efficiency, boost asset utilisation and enhance resource productivity. Benefits which Uber have been reaping since they formed in 2009. Amazon touch briefly on the B2B side with Amazon Business. With benefits like integration with purchasing systems and order approval workflows, they have adapted Amazon to create Amazon for business. This could have extreme effects on the the current technology providers, should Amazon develop an eSourcing/eAuction aspect. It would not be that difficult for them to make the shift. Another area in which Amazon has moved to a B2B focus is with their hosting options. This isn’t an adaptation of their B2C offering, but an entirely new market for them. Airbnb, for example, provide a marketplace that allows one to search for and/or offer accommodation. Their sleek design, mobile-optimisation, carefully thought-out filters, and simple sign-in methods are something to be rivalled. Having relied heavily on investment, they have been able to afford the development costs and created a really neat SaaS product. Procurify is another such example of improved, B2C-esque usability. They aim to provide P2P technology without the presumed “boring” grey-scale colour scheme and clunky design that we have seen (and expected?) for so long. They have responsive design and mobile applications available. With their bright colours and simplistic design, they are very appealing. But will this new technology, mainly adopted by new companies, only appeal to the millennials of today? Will previous generations appreciate this or seek their old faithful, familiar, providers. Jive is also an interesting example. 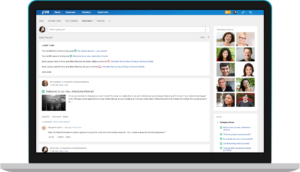 Marketed as “The Next Leap for Social Intranet Software“, their user interface is very similar to that of Facebook. Or, at least, Facebook 3 years ago. 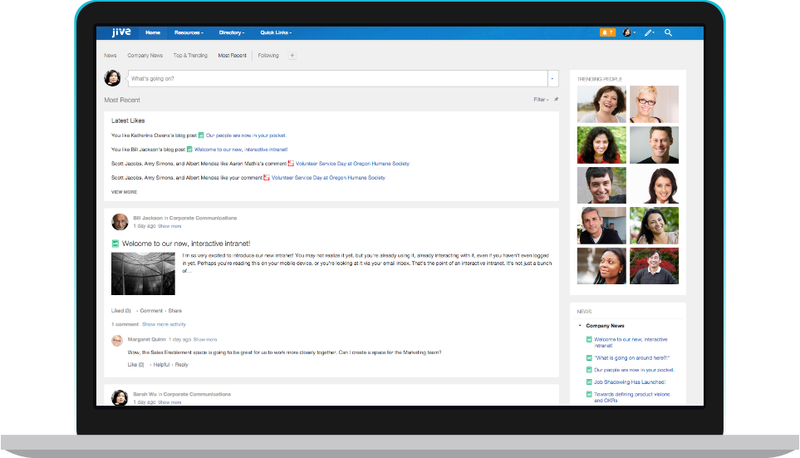 The concept is brilliant – provide companies with an internal social platform to share company news and collaborate. However the user interface still leaves something to be desired. 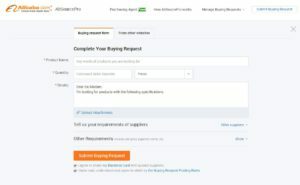 Granted it’s one of the best on the market, and I am in no way criticising them specifically, but overall, there is still a lack of ease-of-use in B2B social platforms in comparison with B2C. Is this because we expect it, because more complexity is required, or because the design needs to remain colourless and simple? LinkedIn have recently redesigned their ‘groups’ making them more user-friendly and appealing, so increased usability is something which they pay attention to. But the creativity of design is definitely lacking in the B2B world. Why does business have to be so boring?! The procurement community is lucky to benefit from the industry specific, social platform Procurious, which, with its bright colours and easy interface has a very B2C feel – which differs greatly from LinkedIn. In the picture on the left, you can see crowded text and pictures with no clear direction of what to look at next with a few small tabs at the top to interact with. On the right the information on the profile page is broken down into tabs and the contact information on the left-hand side makes it easy to see details of an individual. 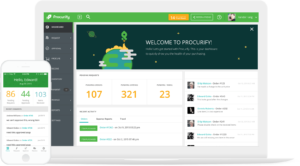 It seems that Procurious, being a more recent development, has taken learnings from other solutions (in its space) to create a more user friendly social media platform. 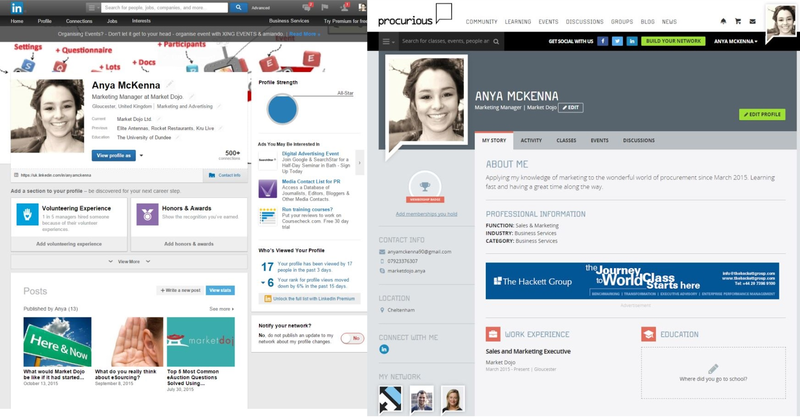 Whilst LinkedIn (above left) is busy and cluttered, Procurious provides a more simplistic, clearer view. If you haven’t done so already, definitely recommend getting involved there and signing up to the tool. Alibaba provides an online platform for global wholesale trade. They launched in 1999 and attempt to make sourcing of goods and suppliers more simple for businesses, working with millions of suppliers across the globe. 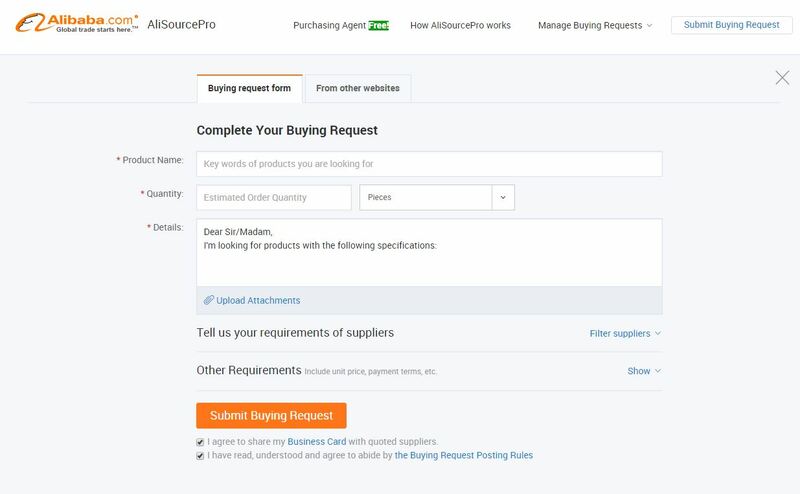 Within the tool, they have a categorised search option for buyers with the ability to ‘get quotations’ from the approved supplier list within Alibaba (AliSource Suppliers). So how will B2B software and technology evolve in the next decade? Make sure you read the final part of this series to see what we think.